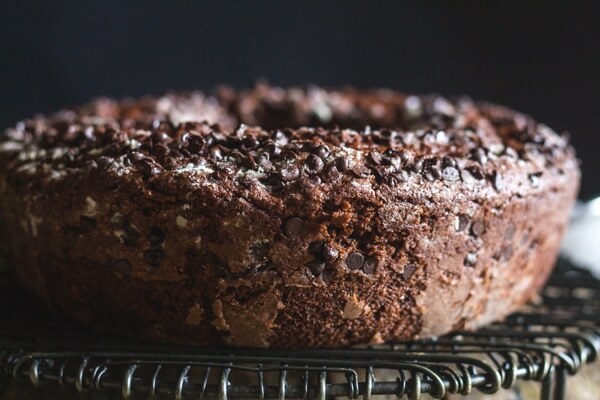 Italian Chocolate Bundt Cake, an easy soft moist Chocolate Ciambellone sprinkled with Chocolate Chips. Serve it plain or dusted with powdered sugar. 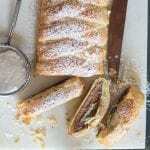 When I first arrived in Italy and I would be introduced to different members of the family or friends, it always involved an espresso and a homemade Ciambellone. 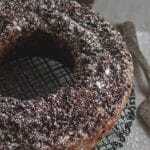 The Italian explained that a Ciambellone was like a bundt cake ( same shape), and since I loved cake I couldn’t wait. Egg and sugar beaten until light. It was nothing like the Chocolate Cake my Mom made on Sundays. There was no frosting, nor was it two layers. Sometimes there was a dusting of powdered sugar and sometimes there wasn’t. But they always tasted delicious. Although they were on the dry side. Some were so dry I knew that little cup of espresso was not going to wash down that huge piece I was given. I also discovered that most Italian Cakes were actually Sponge Cakes. Some were plain, and some had added pears or apples included. Italian Sponge cakes were the perfect cakes to use to make Tiramisu, Mimosa, Diplomat Cake or any other filled cake because of the dryness. These cakes need to be moistened with some sort or liquid. So needless to say after many dry Italian Cakes, I finally came to the conclusion that a moist Italian cake was needed. Why Scientific? It all started when I checked out Fine Cooking, For Great Cakes, Get the Ratios Right . 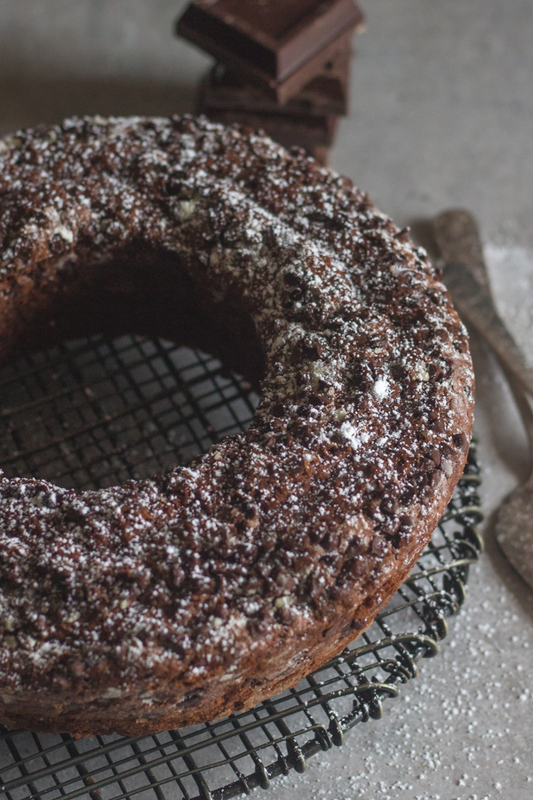 I came up with this Chocolate Chip Bundt Cake. 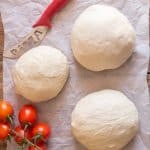 I also wanted to use the ingredients and techniques that most Italians use for making a Homemade Cake. Such as beating the fat and sugar until light and fluffy for approximately 5 minutes, sifting the dry ingredients (always done), using vegetable oil rather than butter and including a little yogurt. 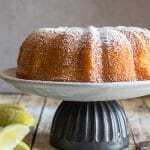 Different ingredients can make a cake moist including, egg yolks, sour cream, milk or buttermilk. 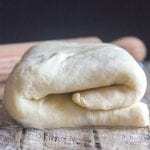 Of course the method of preparation, the baking time and temperature are also very important. How to keep chocolate chips from sinking in the batter. Toss the chocolate chips in a little flour will help them from sinking in the batter. 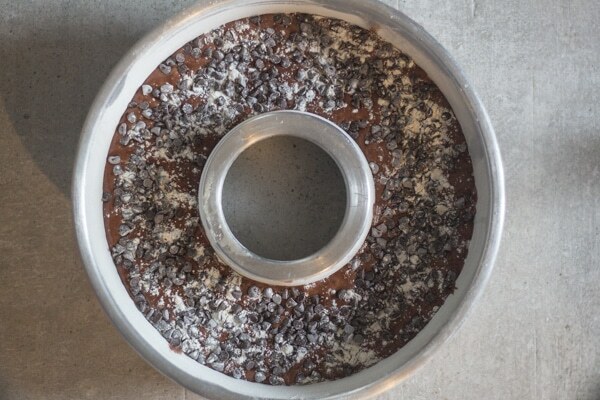 This flour trick works also with nuts, dried fruits, and fresh berries, toss before adding or topping them into or on your cake, cupcake, muffin or sweet bread. 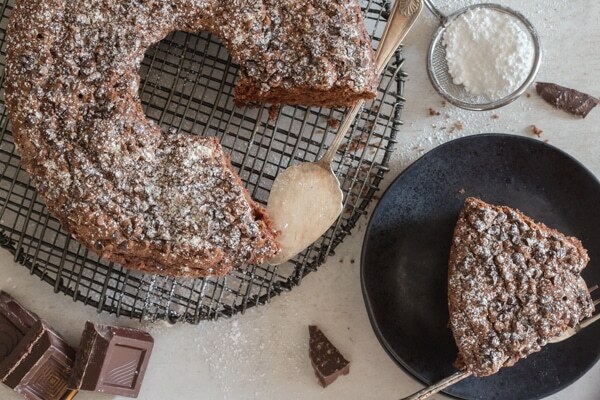 As with most Classic Italian cakes, I also sprinkled this Chocolate Chip Bundt Cake with a little powdered sugar before serving. So pour yourself a cup of coffee or tea and have a slice. I hope you enjoy it! *If you don't have cake flour substitute with 1 cup + 3 tablespoons all purpose flour and 3 tablespoons of cornstarch. Pre heat oven to 350F (180C). Grease and flour a 9 inch (23 cm) Bundt / Tube Pan. Sift together the flour (corn starch if substituting), cocoa, baking powder, baking soda and salt. Set aside. In a small bowl mix together the yogurt and milk. Set aside. 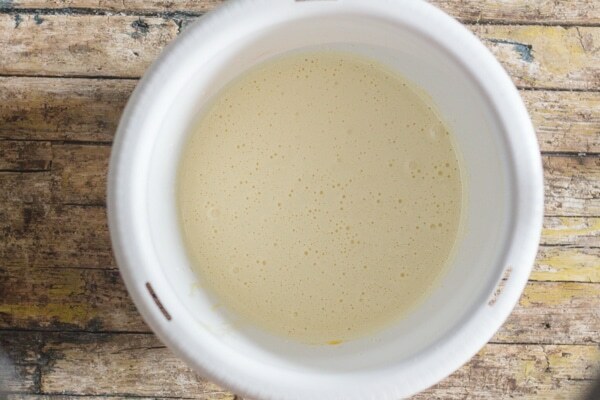 In a large bowl beat together the egg and yolks, sugar, vanilla and sugar until light approximately 5 minutes, then slowly add the oil and beat to combine. Alternately add the dry ingredients with the yogurt/milk mixture. Beat to combine 1 minute. 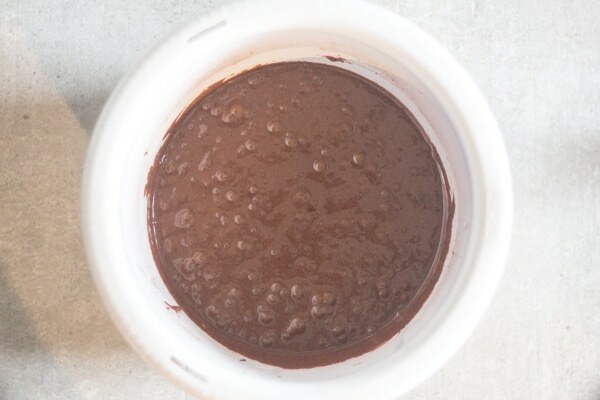 Pour the batter into the prepared pan, sprinkle with chocolate chips (mixed with 1 teaspoon of flour) and bake for approximately 35-40 minutes or until toothpick comes out clean. Let cool then remove from pan. Dust with powdered sugar if desired before serving. Enjoy! 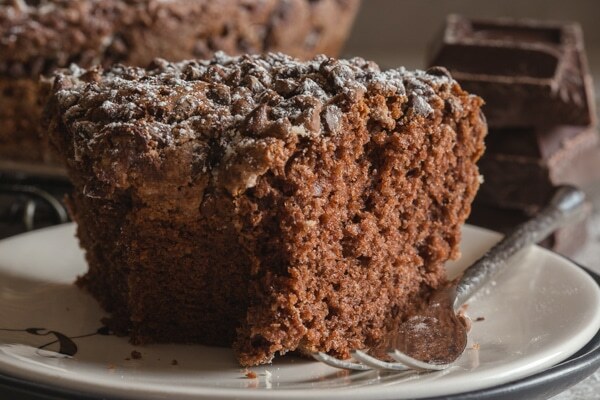 I made the chocolate Bundy cake, without chips, I had none. Made orange sauce to top it off. Yummy! Hi Laraine, thanks good idea an orange sauce. So glad you liked it. JOKING WITH YOU. TRULY ENJOY RECEIVING YOUR RECIPES AND I HAVE A FOLDER FULL OF THEM! Hi Carol, haha thanks, funny thing is one of the first recipes I got when I first came to Italy was my Easy Yogurt Cake, so there you go. Thanks so glad you enjoy the recipes. Have a great day. Thanks, I look forward to trying it after I locate a 9 inch bundt pan. Hi Susan, let me know when you do. Oh my gosh, i just have to tell you that i randomly chose your Italian Lemon Bread receipe last week to make a gift for a friend who shared a box of lemons grown from her tree here in Northern California. Well, let me tell you….one thing or make that one friend led to another and i made 5 yes FIVE Italian Lemon Breads to share! One lemon remains! Not one was wasted as after juicing and zesting the lemons went into the fridge for everyday water use. Thank you so much! They were a big hit!